Jardin du Luxembourg (AKA the Luxembourg Garden) is not just for tourists. 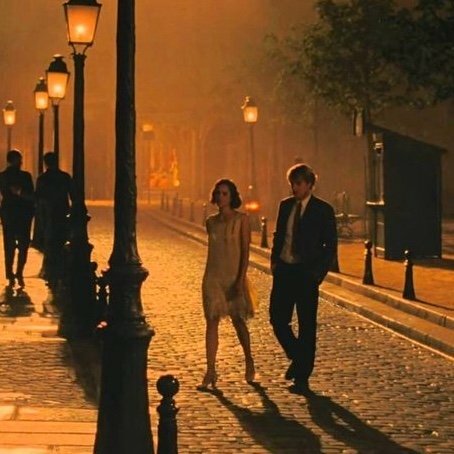 The iconic Left Bank park is filled with Parisians relaxing in the sun and playing tennis, boules, and chess. 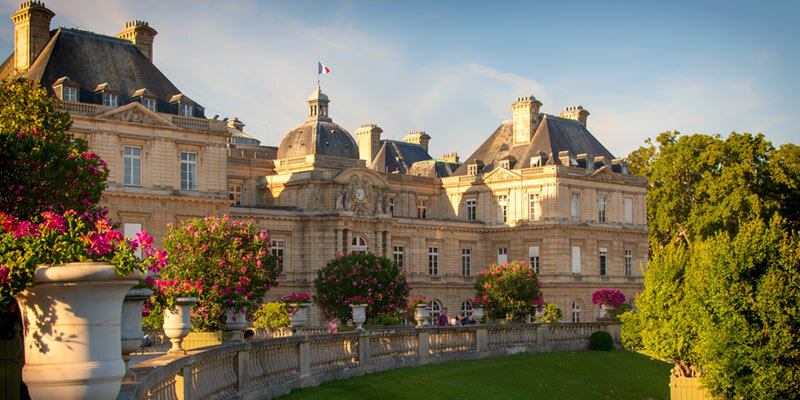 It's also the home of the Musée du Luxembourg, a charming small museum, and the Palais du Luxembourg, built for the mother of Louis XIII, Marie de Médici, in the early 17th century. Today this palace is home to the French Senate, which also owns and manages the gardens and oversees the museum. 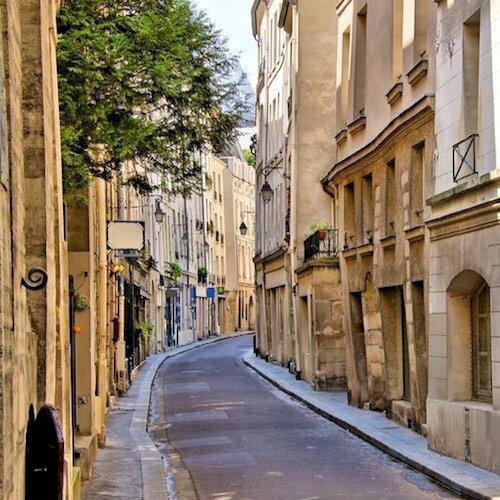 This expansive park in the 6th Arrondissement of Paris is a haven for city dwellers, providing tree-lined promenades, toy sailboats drifting on a central pond called Le Grand Bassin, pony rides, marionette shows, cafes, a riot of colorful flowers, and the famous Medici Fountain built in 1620. Let's explore this picturesque park and discover all of its riches by looking at just a few of our favorite things and sharing some of our photos. In every corner Jardin du Luxembourg surprises you with statues, monuments, fountains, and even orchards. Surrounding the central green, twenty statues of French queens and matriarchs stand proudly. 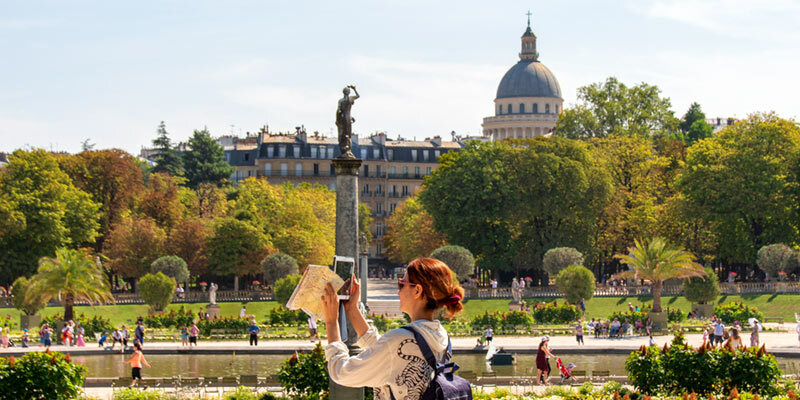 Spilling across nearly sixty acres, the Jardin du Luxembourg is the place where Parisians do what the French do best — relax and enjoy the good life. Dotted throughout the park are the famous green chairs, both the sitting and reclining type, with numerous benches as well. Probably unlike parks in your hometown, sitting on the grass is interdit (not permitted), except in a few designated areas that can change during the day. It's best to find a green chair, pull up to the Grand Bassin, and take in the views. If you get hungry or thirsty head to the sun-dappled outdoor cafe, Pavillon de la Fontaine, for a crisp glass of Sancerre and a grilled open-face sandwich on Poilane bread. Built in 1830, the orangery houses a vast collection of exotic plants like palm trees, oleanders, orange and pomegranate. The fruit garden was founded by Carthusian monks and there are still hundreds of apple and pear varietals. Today, the orangery is open to the public on European Heritage Days, usually held in mid-September. 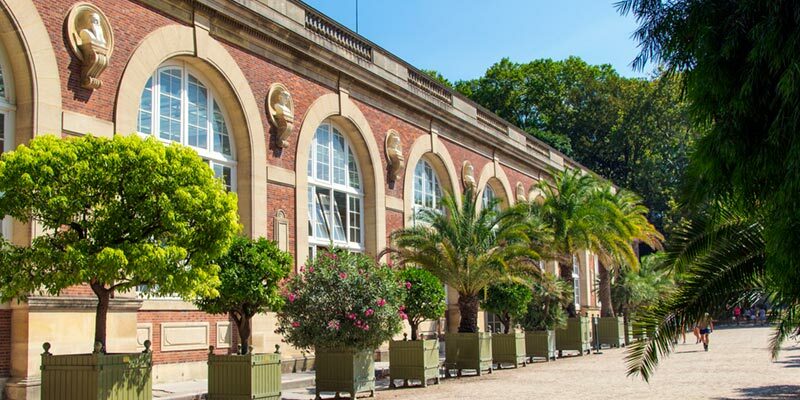 The Senate also organizes temporary exhibitions of contemporary art in L'Orangerie in the summer when the exotic plants have been moved outside into the gardens. Two centuries earlier, in 1630, Marie de Medici (widowed due to assassination) built this magnificent fountain. She enlisted a Florentine artisan who modelled the grotto in the style of an Italian Renaissance garden. After the French Revolution, the fountain fell into ruins. Who do you guess came to the rescue? That's right, Napoleon Bonaparte restored the fountain with the help of Jean Chalgrin (the architect responsible for l'Arc de Triomphe). Napoleon III later had the fountain relocated to the the east side of the Palais du Luxembourg, where it is found today. 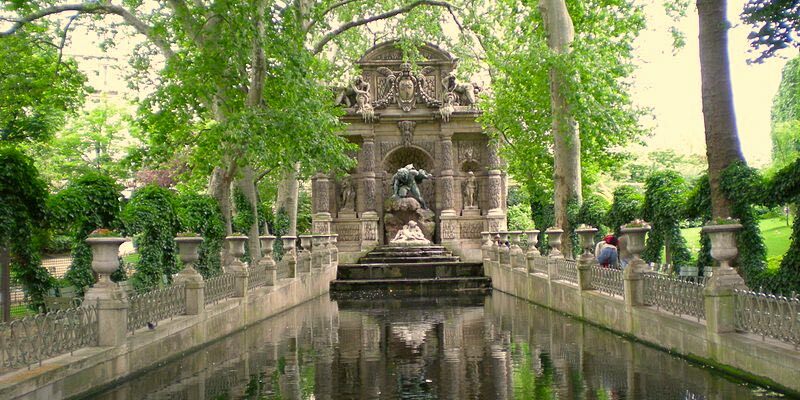 Today the long, tranquil basin of water is flanked by plane trees and sculptures inspired by Greek mythology. Another legacy of Marie de Medici is her collection of paintings that were displayed in the palais at Luxembourg, often considered the first public museum in Paris. There were 24 paintings by Rubens of the royal family as well as the Royal Collection of 100 paintings by Leonardo da Vinci, Raphael, Veronese, Rembrandt. Not a bad lineup ! In 1818, Musée du Luxembourg was designated as a space for living artists and the 100 paintings from the Royal Collection were moved to the Louvre. On display in the 19th century were paintings by David, Ingres, and Delacroix. (Another good lineup.) 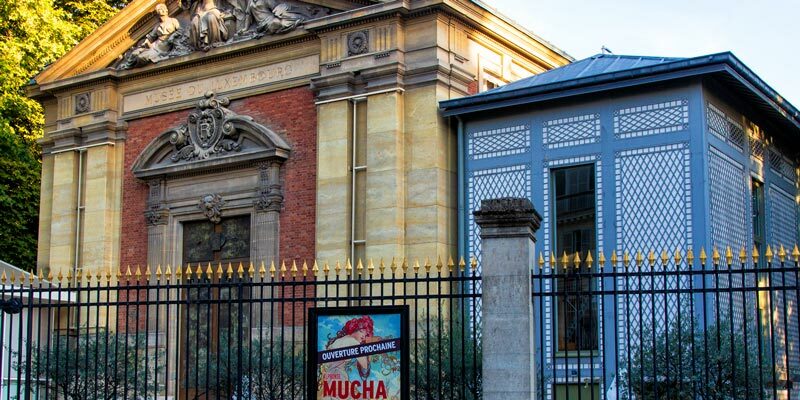 After the French Senate took over the palace and the gardens in 1879, a new structure was built, a smaller building next to the main palais, and this is the current home of the museum. The first Impressionist exhibition in Paris was held here with works by Pissarro, Renoir, Sisley and Cezanne. This enviable collection was eventually moved to the Musée d'Orsay. Today, there is no permanent collection at the Musée du Luxembourg, but it is used for a few themed exhibitions annually. In recent years we've seen shows featuring the royal portraits of Rubens, an exhibit marking the 200th anniversary of the death of Napoleon's empress Josephine, and Cézanne's paintings made while he was in Paris. Built in 1888, based on plans of Charles Garnier (the architect who masterminded Palais Garnier), the gazebo bandstand presents dozens of free musical events from June to October. Check the schedule on the French Senate website. It's in French, but you can get an idea of the list of events. Marie de Medici, who we mentioned was wife of Henri IV and mother of Louis XIII, purchased the land in 1612 to create a royal estate inspired by her hometown of Florence. 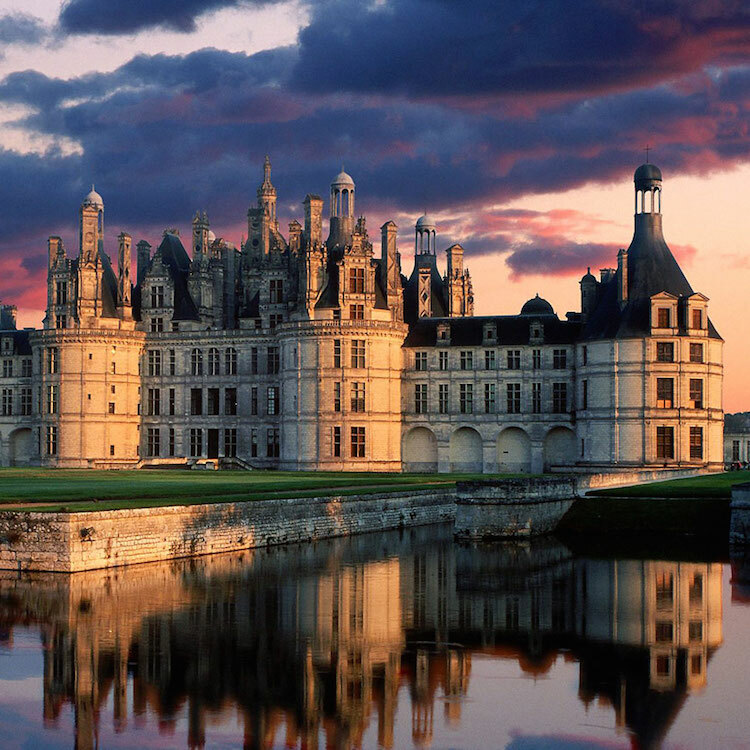 The palace she built housed royalty right up until the French Revolution. In 1791, it was declared a National Palace and became the hub of government including the Directoire, the House of Peers, and eventually the Senate. The palace and the park were occupied by the Nazis during World War II but both were liberated on August 25, 1944 when Allied troops surrounded and capture the 2,000 German soldiers who had taken refuge in the garden. 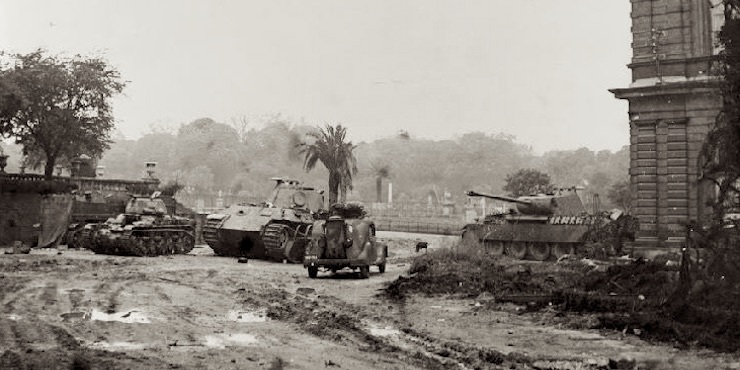 It's hard today to imagine armored tanks rumbling through the peaceful park.